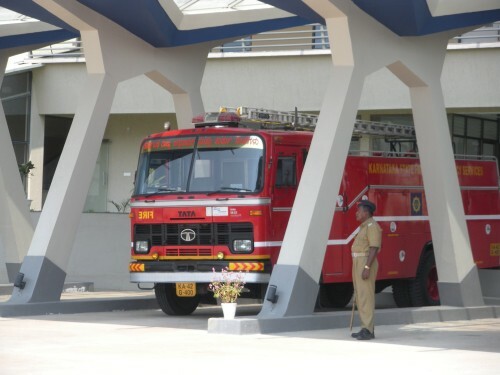 A swanky new fire station at Sarjapur Road that opened for service early this year. File pic: Priya Ramasubban. People in Jayanagar were panicked to see a three-storey building catching fire on Thursday, January 18th, 2018. Short circuit was said to be the reason, but there were no casualties. But a bar that caught fire in the first week of 2018 in the densely populated area of Kalasipalyam, Bengaluru, was not so lucky. Five people lost their lives in this case. Even as everybody with some authority in the city accused the other for being responsible for the tragedy, the issue of fire safety in the city is back in focus. 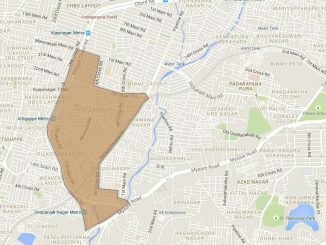 So while the stakeholders of the city’s administration sort out the burning issue of “who is responsible”, we look at the question of what the citizens can do to protect themselves in the event of a fire. “Most people don’t think they can die in a fire. Most of us don’t even know who to call if there is a fire.” says Uday Vijayan of Beyond Carlton, a citizens’ initiative on creating awareness about fire safety. Uday lost his 23-year-old son Akil in the horrific fire at Carlton fires in 2010. “There are some basic dos and don’ts that we should all know to escape a fire because we never know when tragedy may strike us”. Beyond Carlton put together a list of tips to not only escape a fire as a reactive measure, but also simple measures to proactively avoid these disasters. In case of fire in your building, call 101 for fire services. Please do not assume that somebody else with you has already made the call. The minute you notice there is a fire, the first thing you do is to alert the others around by yelling “Fire” as loudly to draw their attention to the problem. Cover your mouth and nose with a wet cloth when you are trapped in a fire. Smoke is more dangerous than the flames themselves as most people will asphyxiate because of it. In case of the smoke, sink low into the ground as the smoke will rise to the ceiling and the air is cleaner closer to the ground. If you can’t find a way out of the room you are in, seal the points where smoke can enter with wet clothes like sheets and towels, so it doesn’t enter the space. If you can see a fire and are not caught in it, call the fire services on 101 and leave the area so you don’t crowd the space, making rescues easier. Have a working fire alarm at your homes and offices. Organise fire drills in your building every six months and ensure you have a designated space to assemble once you get out of the buildings. Ensure that the preventive measures like alarms, fire hydrants, public address system etc are in place. When you yell “fire” to let others know, do not yell anything else so they realise the gravity of the situation. Do not use an elevator in case of fire as the sign always says. Use the stairs. Do not run if your clothes catch fire because it will fan the flames. Instead roll on the ground or use a heavy blanket to extinguish them. Do not shout instructions if you are not trained in emergency and fire safety. It adds to the confusion and may cost somebody their life. Do not hide in bathrooms during fire, because if the fire doesn’t kill you near water, smoke will. For more information on fire safety visit www.beyondcarlton.org. 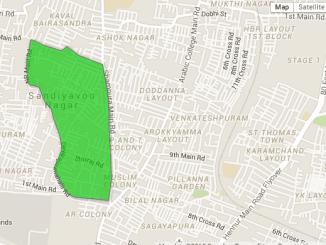 Data and essential information on Hampi Nagar ward. Proposed suburban rail policy: will it help Bengaluru’s commuter rail dreams? 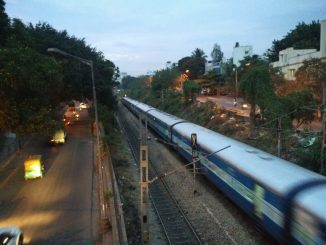 Bengaluru has an under-utilised railway network, through which activists hoped to realise the dream of commuter railway. Is the central government’s draft policy signalling the death of city’s ambitions?